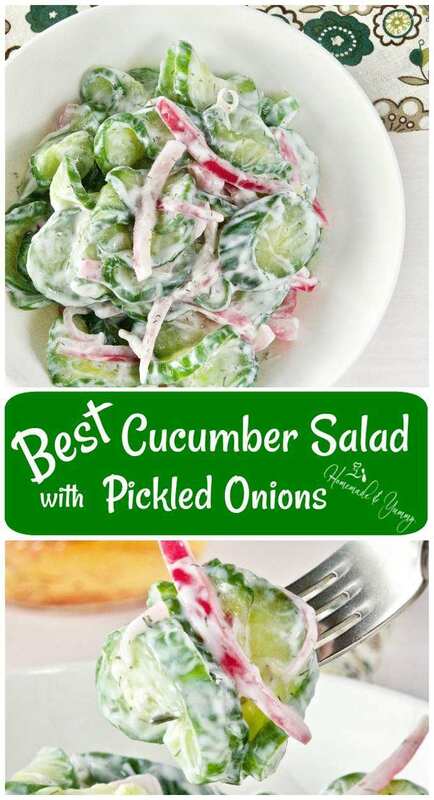 Best Cucumber Salad with Pickled Onions | Homemade & Yummy Homemade & Yummy | Fun delicious recipes and more. 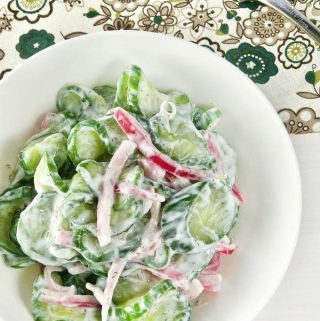 You can never have too many salad recipes, and this Best Cucumber Salad with Pickled Onions is quick, delicious and the perfect side for meat or fish. I am anxiously awaiting the warm weather and grilling season. With that comes outside eating and LOTS of salads. Potato, pasta, and green salads are great, but sometimes you want a change of pace. This simple Cucumber Salad fits the bill, and according to my husband the best cucumber salad he has ever eaten. Easy to make, crisp and tangy. 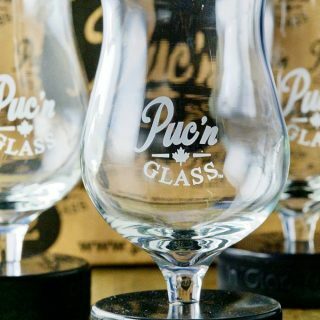 Perfect for hot weather meals like backyard BBQ’s and picnics. 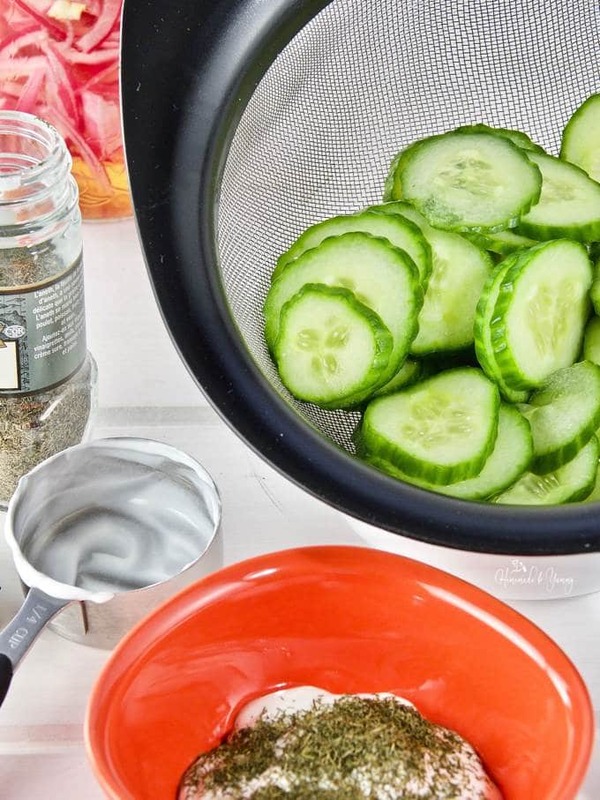 There are so many great ways to enjoy cucumbers. Do you know how healthy they actually are? I love adding them to water for a nice fresh flavour, and using them in appetizers too. When I was a child, my mom, aunts and of course baba ALWAYS had gardens. So many great vegetables were at our fingertips. It was like having a farmers’ market in your own backyard. Somehow the green thumb did not get carried along with me. I am not a gardener at all. Not even close. However, I do recall having to pick the vegetables at “just the right time”, especially when it came to cucumbers. You see, my mom was adamant on the perfect size of cucumber to make dill pickles. I also remember she would just happen to go on vacation right around the time the “perfect cucumbers” would be ready. So guess who she would leave in charge of this chore? Yup, me! Since I did not like spending time in the garden, this was not a chore I welcomed. If I left them for a day too long (heaven forbid), I would certainly hear about it when she got home. If the cucumbers got too large, she would use them in a salad. You have probably eaten something similar? Her version consisted of cucumbers, onion, and mayonnaise. Some cucumber salad recipes will add other items like onions, tomatoes or radishes. In fact, my Snap Pea Salad has cucumbers too. The cucumber can be peeled (or not), cut in circles or chunks. Seeded by removing the pulp (or not), and some people like to sprinkle salt over the cucumber slices/pieces and let them drain (sweat) for a few minutes to release excess moisture. WOW, there are A LOT of variations for one humble salad. Yet they are all so simple to make, and the end result is a crisp, refreshing great side dish (or even a great lunch all on its’ own). Perfect with Grilled Chicken Skewers or Zucchini Burgers. I took my mom’s version and switched it up. Since hubby does not like eating raw onion (even red ones), I used pickled onions instead (the secret to making this the best cucumber salad he has ever eaten). I replaced mayo with sour cream and seasoned with dried dill. I also used the salt method to get excess water out of the cucumber before mixing it all together. Speaking of pickled onions, have you ever tried pickled eggs? The result was a light, refreshing and tasty side dish to our grilled burger. Feel free to switch things up and use greek yogurt, fresh dill and raw onions. There is not a right or wrong way to make and enjoy this great salad. 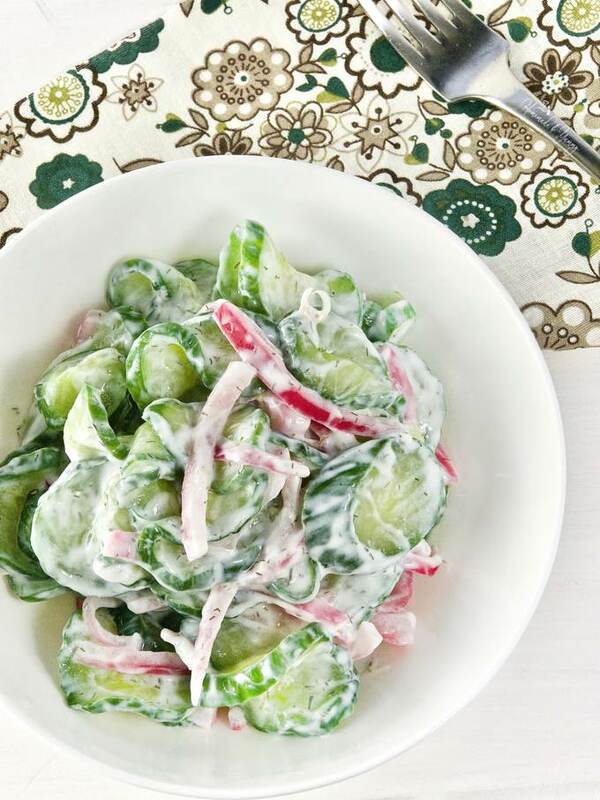 This Best Cucumber Salad with Pickled Onions is quick to make, and the perfect party salad. Easy on the budget and you can make a HUGE batch in no time. I know this will be a staple this summer. Give this a try! 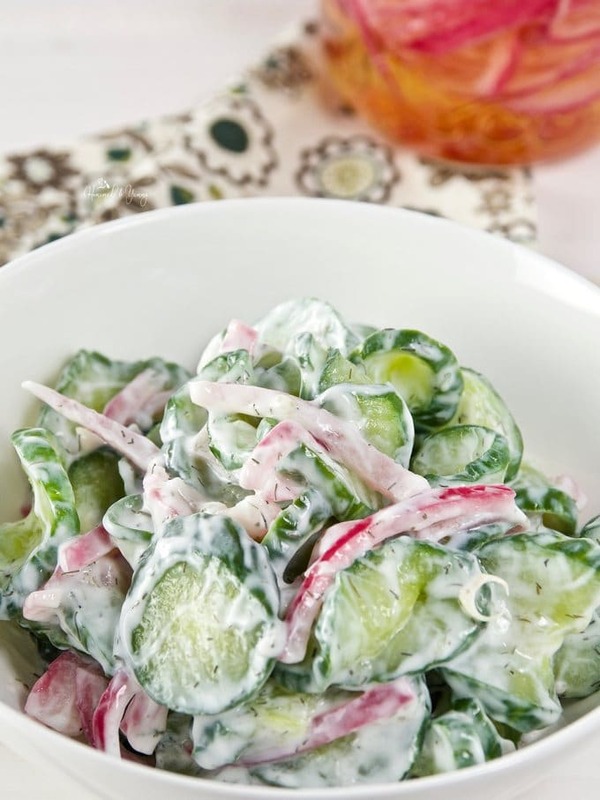 Do you have a cucumber salad recipe you love? 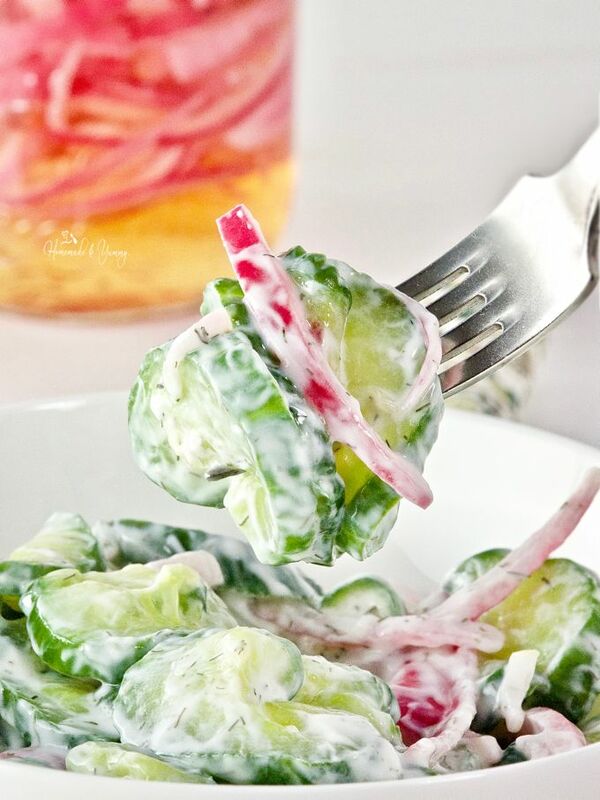 Best Cucumber Salad with Pickled Onions is light, refreshing and a great change of pace from potato or pasta salads. Quick to make, economical and the added benefits of eating healthy cucumbers. Perfect for hot weather meals like backyard BBQ’s and picnics. Wash and slice the cucumber into 1/4" rounds. Place in a mesh sieve (over a bowl or in the sink) and sprinkle with the salt and mix a bit to distribute. Let the cucumbers sit for 10-30 minutes (depending on how much time you have). Mix the sour cream and dill in a bowl and set aside. Feel free to use more if you like. Slice the pickled onions into thin strips, and place in a bowl. Take the cucumbers out of the sieve, and place in either paper towels or a kitchen towel. Give this a good squeeze to release as much moisture as possible. Place the cucumbers in the bowl with the onions. Add the sour cream mixture, stir to combine. There is no right or wrong way to make this salad. Feel free to use yogurt, fresh dill and raw onions if you wish. If you don't have time to get moisture out of the cucumber...no problem. This recipe will still work just cutting the cucumber up and using as is. The choice is yours....have fun. Ingredients in the fridge? Check! Ingredients in the pantry? Check! I am ALL about the simplicity, ease and freshness and flavour texture contrasts! 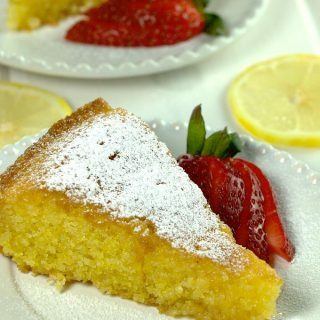 Love this recipe Gloria! Thanks so much. Hope you love this as much as we do. Wow so many tasty flavors with this salad! I’m m addicted to anything pickled and I can’t wait to try this recipe! I just bought more cucumbers on the weekend….round 2 coming up this weekend. I adore salads like this! I’ve made a lot of variations as well, but I’m not sure if I’ve ever pickled the onions for it. What a great idea, and awesome that you put a twist on it so your husband would enjoy it, too! Yes the pickled onions really do add a great taste and texture to this simple, delicious salad. This sounds so good! 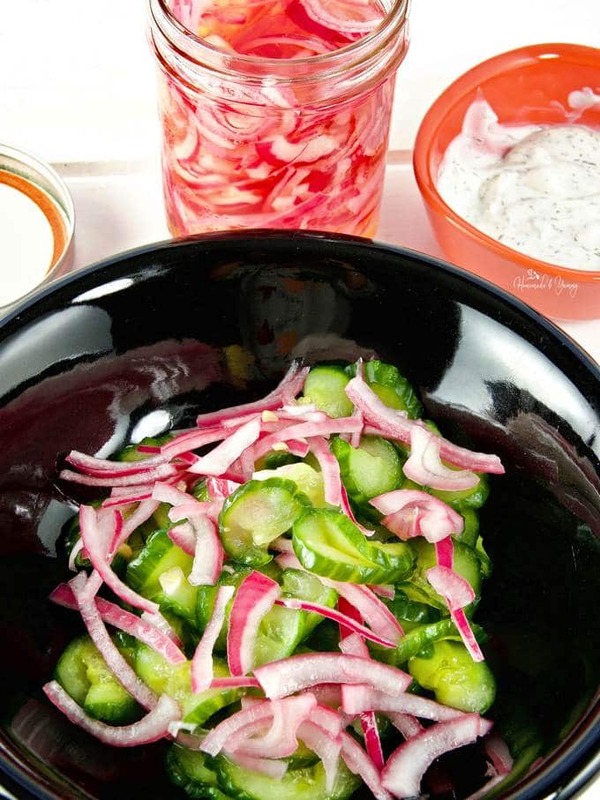 I love cucumber salads, but have never made one with pickled onions…I have give this one a try! 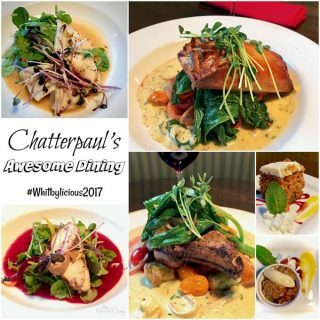 Hope you enjoy it as much as we do. It is so easy and delicious. This looks amazing!! What an awesome salad, especially with warmer weather heading our way soon. I love that you use sour cream .. it looks so creamy and inviting. Great recipe! It is such an easy salad to put together, and sure makes a great crowd pleaser for all the backyard parties this summer. 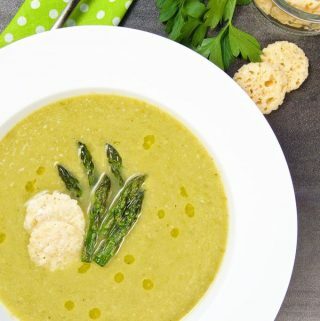 Perfect for easy summer eating. This looks like a wonderful summer salad and I love the idea of pickled onions! Yup easy summer eating for sure. 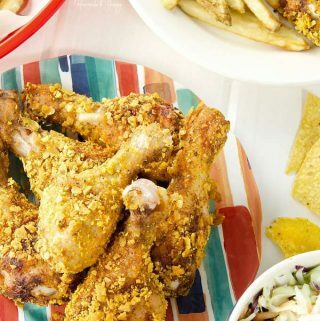 We have grilling season all year ’round in south Texas, and I would love your cucumber salad anytime… We just smoked a couple of chickens, and it would have been the perfect side! Pinning! This is the perfect side to so many dishes. Just bought more cucumbers today. I am anxiously awaiting summer and all of the food that comes with it, and this looks perfect for barbecues! So easy! 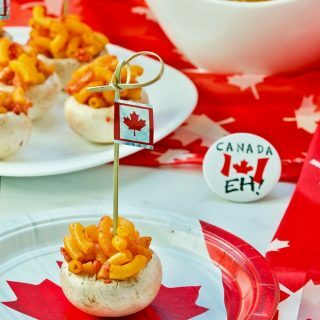 YES….bring on SUMMER…and all the wonderful foods that go with it.